The common cold, with its symptoms of sneezing, runny nose, congestion and cough, strikes at one time or another. According to the Mayo Clinic's website, most adults come down with a cold two to four times a year. If you develop a high fever, extremely swollen glands or intense sinus pain, you should see your doctor. To soothe the misery of an ordinary common cold, however, you may want to try some traditional Japanese remedies. Check with your doctor first. Brew a cup of strong green tea to try this Japanese home recipe, suggested by E-Ibaraki, an online monthly newsletter for English-speaking residents of the Prefecture of Ibaraki. Allow the tea to cool, but instead of drinking it, gargle with it for 30 seconds instead. According to the World's Healthiest Foods website, green tea is not only rich in antioxidant polyphenols and flavonoids, but may have antiviral properties as well. Heat 6 ounces sake, along with 1 tbsp. honey, until the mixture starts to thicken. Allow to cool slightly, and drink while still warm. E-Ibaraki suggests this beverage to help banish chills. If you prefer to avoid the alcohol's effects, you can heat the sake to almost boiling, let it cool and add the honey. The traditional Japanese remedy also calls for a raw egg in the drink; the Centers for Disease Control and Prevention cautions that consuming raw eggs can put you at risk for salmonella, a bacterial illness that can cause stomach cramps, nausea and diarrhea. Honey has been used for thousands of years for its antimicrobial and throat-soothing properties. There is some scientific research supporting the use of honey for coughs and colds. 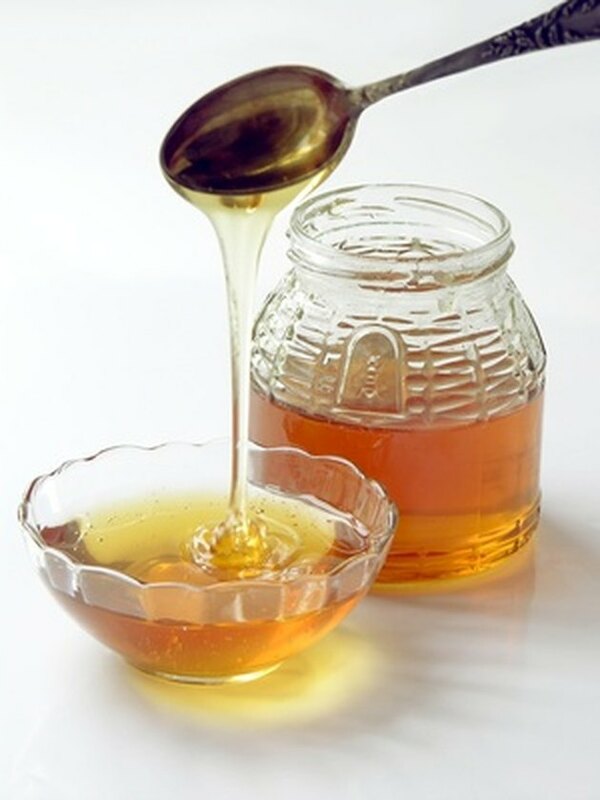 In a study conducted at Pennsylvania State University and published in the December 2007 issue of "Archives of Pediatric and Adolescent Medicine," researchers found that honey was more effective at suppressing children's coughs than the drug dextromethorphan. From "Woman's Day" magazine comes a Japanese traditional remedy featuring ginger root. Grate 2 tsp. fresh ginger root and steep it in 6 ounces boiling water. Add 2 tsp. sugar or honey to taste, strain and drink. There is some scientific evidence that ginger has antimicrobial qualities. In a study conducted at Cross River University of Technology in Nigeria and published in 2009 in "Global Journal of Pure and Applied Sciences," researchers found that ginger inhibited bacterial growth.